Researchers have demonstrated that a program aimed at helping people modify lifestyle factors such as diet and exercise is as effective as medication at reducing blood pressure. Participants in the study saw their blood pressure drop 19 points, on average, after taking part in the Weimer Institute Newstart Lifestyle program for just 14 days. Other studies have shown that a blood pressure reduction of this magnitude can cut a person's risk of heart disease or stroke in half. "By adapting selected lifestyle health principles, half of the people in our study achieved normal blood pressure within two weeks while avoiding the side effects and costs associated with blood pressure medications," said research team leader M. Alfredo Mejia, associate professor at Andrews University. "The Newstart Lifestyle program works quickly, is inexpensive and uses a palatable diet that allows for moderate amounts of salt and healthy fats from nuts, olives, avocado and certain vegetable oils." Mejia will present results from this study at the American Society for Nutrition annual meeting, Nutrition 2018, held June 9-12, 2018 in Boston. 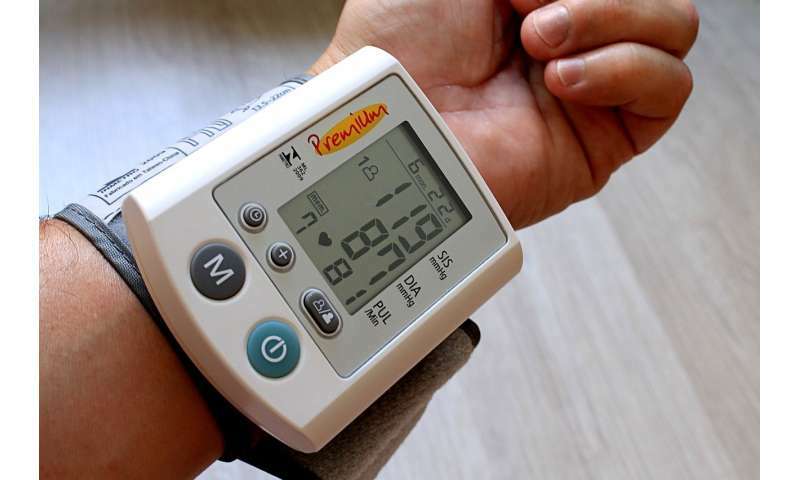 The reduction in blood pressure accomplished by the program was equivalent to what can be achieved using three half-dose standard medications for blood pressure. In addition, 93 percent of the participants were able to either reduce the dose (24 percent) or eliminate their blood pressure medications (69 percent). People participating in the Newstart Lifestyle program follow a vegan diet, walk outside daily, drink substantial quantities of water, get adequate daily sleep and participate in optional spiritual activities. The program's vegan diet consists of foods, such as legumes, whole grains, vegetables, fruits, nuts, seeds, olives, avocados, soymilk, almond milk and whole-grain breads. For the study, the researchers evaluated data from 117 people with high blood pressure who had participated in the Newstart Lifestyle program at the Weimer Institute for 14 days. At the end of the program, half of the participants achieved a systolic blood pressure below the recommended 120 mmHg. The program was effective at lowering blood pressure in varying types of individuals, including otherwise healthy men and women and people with diabetes or who were obese and those with high cholesterol levels. Next, the researchers plan to test the program in more people over a longer time period to better understand its long-term effects and biological basis. They also want to determine if the program can be used to improve other health problems, such as diabetes, cardiovascular disease and obesity. More information: M. Alfredo Mejia will present this research on Monday, June 11, from 8 a.m.-3 p.m. in the Hynes Convention Center Hall D (Poster 646) (abstract).